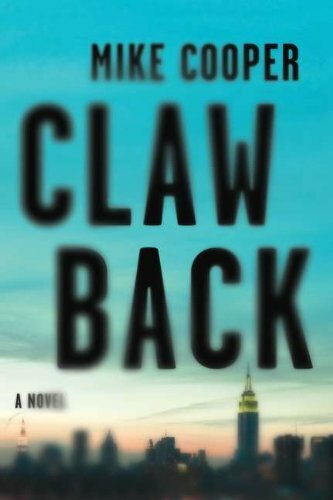 Though his methods may be a bit unorthodox—and potentially painful if there’s resistance—he gets the job done; however, after successfully extracting millions of dollars from the fund manager, he is shocked to learn that his client turns up dead. Soon after, other top Wall Streeters are getting picked off one by one. Hired by another wealthy financier, Cade is now tasked with finding out who is doing the killing. What is already a difficult job is made even tougher as every trader and banker now lives in fear and packs their own heat; transforming Wall Street into the Wild West. In the course of his investigation, Cade meets a beautiful and razor sharp financial blogger named Clara Dawson, who has also begun putting the pieces together and smells a big story in the ensuing financial maelstrom. In an unlikely pairing Clara and Silas’ worlds collide, culminating in a symbiotic working partnership, with potential for something more serious. When the situation heats up, Clara becomes a target, and it’s unclear whether it’s her association with Cade or her penchant for printing the truth that has put her in the killer’s crosshairs; but, given Silas’ growing feelings, he will do everything within his power to keep her safe. Now Silas and Clara are caught up in a financial war that is threatening not only the lives of the top dogs on Wall Street, but their own lives as well. Mike Cooper skillfully renders a high-concept action thriller steeped in the financial world and hits a home run with his lead character Silas Cade. Cade is part Robin Hood and part Jason Bourne, with a dash of Rambo. Choosing to live off the grid with a large collection of burner phones, Cade is a tough man to track down, but once you do, things will get done. Though he’s all business, Cade still has time for a bit of self-deprecating humor, does his best to keep his temper, and even opts to try kindness first. He even manages to fall (believably) for a civilian woman whose mere presence brings out a soft side that not even Cade realized he had. Clara is smart, careful, and tenacious without all that annoying stupid-girl-syndrome that usually plagues females in action/thrillers. Clara commands respect and fosters zero eye-rolling, playing her part as the cautious, yet courageous writer who is willing to risk it all to ensure the public knows the truth. Silas Cade isn’t some low form hitman, but rather a disciplined, lethal weapon who prefers to live off the grid and consort with a network of highly skilled friends in low places, and, for the right price, seeks justice for the wronged and makes it right—legally. Mostly. Mr. Cooper’s vivid writing brings every energy-charged scene to life, fueling this top-notch thriller on pure talent and adrenaline. There are no gratuitous fights or fillers, nothing is contrived or convenient, and there are plenty of twists and turns to keep readers on their toes. Mike Cooper’s high-action antics aren’t a farce to cover up a lacking storyline, but instead perfectly enhance an already pulse-pounding plot. With a sequel in the works, there’s no doubt that Silas Cade will be ready to go another round.